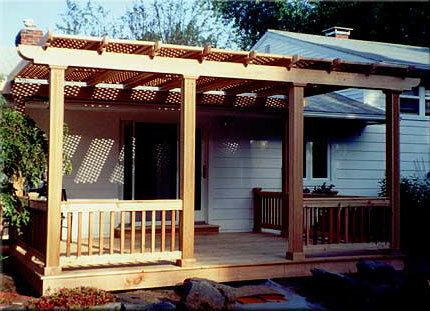 The materials used play a significant part in the success of any project. 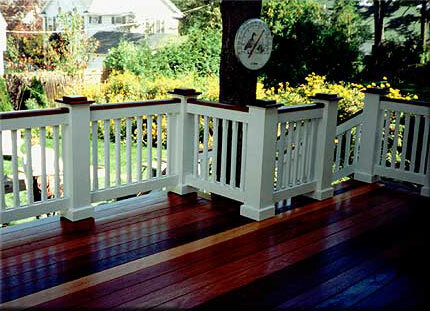 Weather-resistant, pressure-treated wood, cedar, fir or mahogany can be combined in a variety of ways to meet any budget. David Cone personally inspects all the lumber we use to ensure your project is of the highest quality. 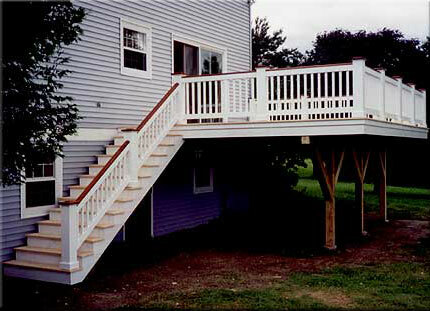 Pressure-treated wood is a safe, long-lasting building material used in decks, fences, docks and other places where wood is exposed to rot, insect attack or other forms of biodeterioration. 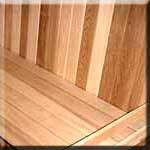 Pressure-treated wood is widely available and relatively economical. 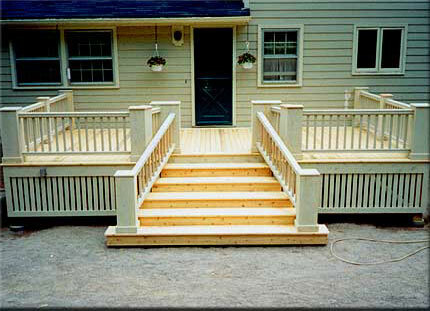 Treated wood is strong, long-lasting and maintains its integrity in conditions under which untreated wood would quickly degrade. 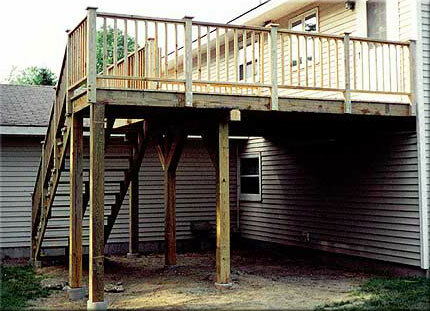 Pressure-treated lumber often retains it's structural integrity 10 to 20 times longer than untreated woods. 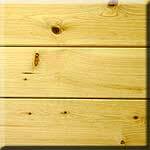 Treated wood is a convenient, renewable building material. 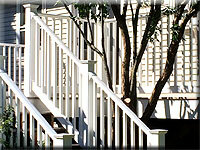 Preservative treatment enables wood to last longer than it otherwise would, thereby conserving trees and other resources. This wood has been preserved by pressure-treatment with an EPA-registered pesticide containing inorganic arsenic to protect it from insect attack and decay. 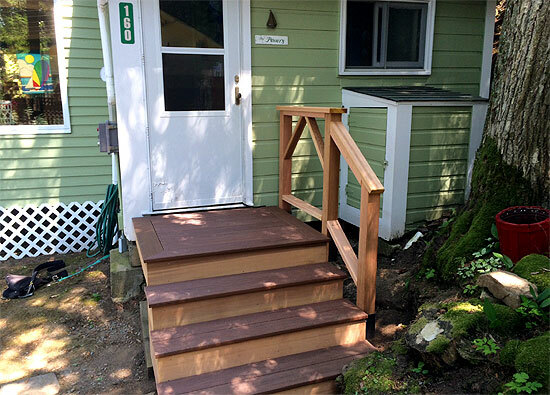 Wood treated with inorganic arsenic may present certain hazards, therefore certain precautions should be taken when determining where to use it. 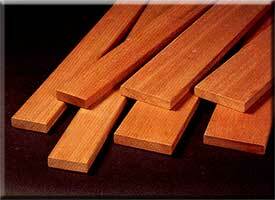 ACQ pressure-treated wood contains no arsenic or chromium. It protects against rot, decay, and termite damage with an advanced, environmentally sensitive preservative. It can be used where environmental concerns may restrict other products. 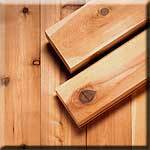 How is Wood Pressure Treated? fine-grained texture with a satin luster that makes Stained Cedar exceptionally beautiful. 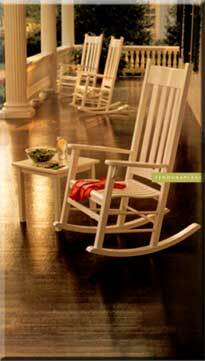 Cedar is ideal for both indoor and outdoor applications, Left Unfinished Cedar weathers to a beautiful ver-grey patina. 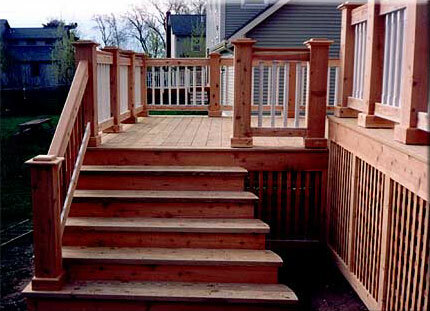 Cedar adds natural warmth and beauty to any project. 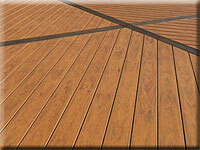 and splitting; "The Boat Builder's Wood"
AZEK Decking is a beautiful, durable and ideal replacement for wood. 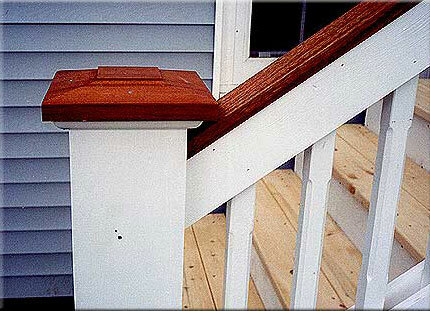 AZEK is made of a PVC material with a polymer cap for superior stain and scratch resistance. 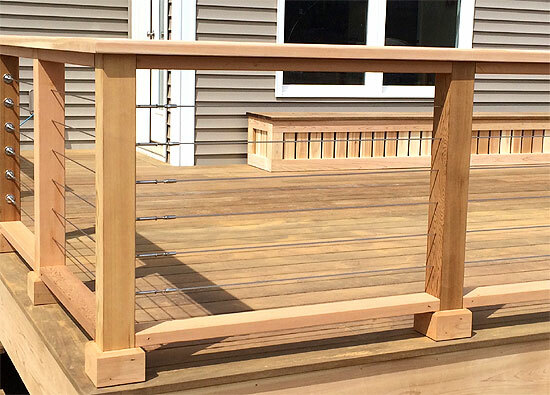 It is designed to be solid and durable with a density similar to wood, but unlike wood, AZEK Deck allows maximum enjoyment with low maintenance. 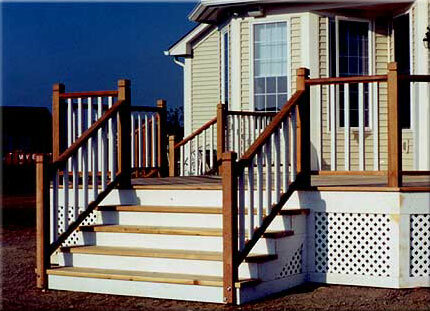 What are the Benefits of AZEK Decking? 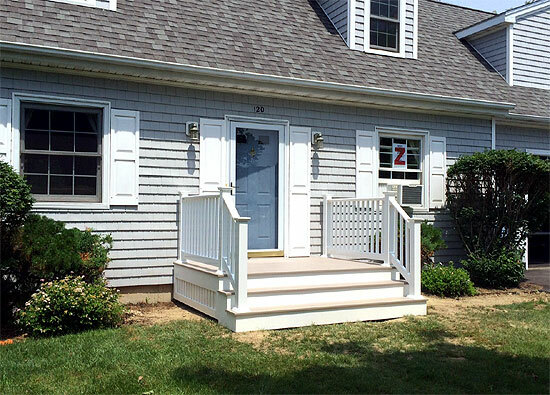 TenduraPlank provides the traditional beauty of a wood front porch without the expansion, contraction, warping, splitting, cracking, or splintering of tongue-and-groove lumber. 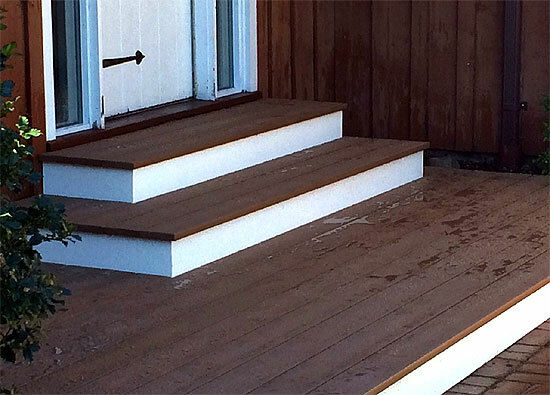 Historically and dimensionally authentic, TenduraPlank doesn't rot, deteriorate, grow fungus, or feed termites. And, its primed and ready for finish painting. 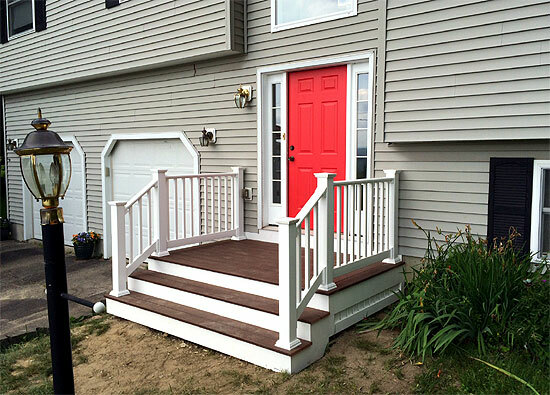 The proprietary design of the TenduraPlank tongue-and-groove joints is engineered to provide a secure but visible seam, emulating the traditional tongue-and-groove lumber it replaces. 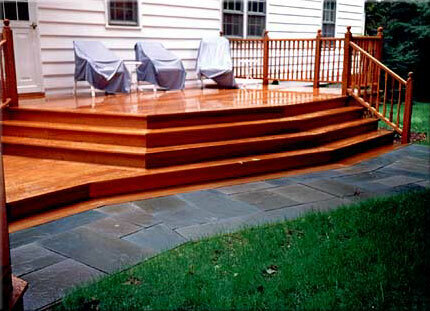 The warmth of wood combined with the durability of plastic - TenduraPlank is made to last a lifetime. 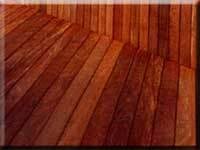 Ipe Tropical hardwood is the hardest decking material. 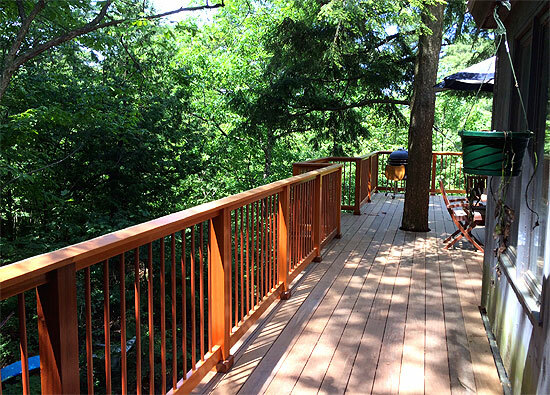 Ipe is far superior in strength and lasting durability than the common softwoods available for today's decks and outdoor structures. 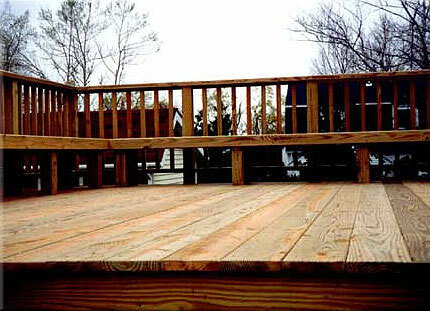 Ipe is 100% natural Lumber - there are no toxic preservatives or chemicals to leach out of the wood. There is no need for "wood preservatives" or "water repellents"-ever. 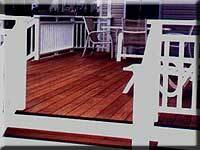 Ipe has minimal grain raising, surface checking & cracking, end splits & splintering. 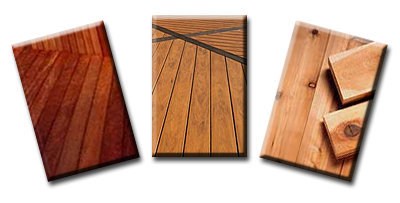 Prices shown are only to give you an idea of where each decking material falls in the price structure of other decking materials and is only the cost of that material. Prices are subject to change without notice.